When anything becomes popular and experiences prolific growth questions about its merits or potency seem to follow. As the largest and fastest growing vehicle for philanthropy, Donor Advised Funds (DAFs) have exponentially raised dollars – and questions – over the last year. In light of these conversations we felt it a timely opportunity to share our thoughts on the transformational power of DAFs, locally and nationally. 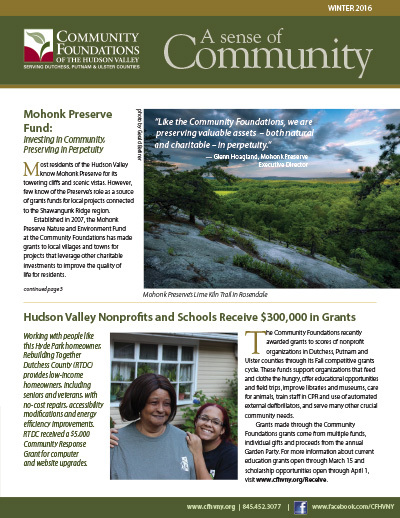 The Community Foundations of the Hudson Valley is pleased to announce that its Community Grant program has awarded $100,000 to nonprofits in Dutchess, Putnam and Ulster counties. The program invests in local organizations through purchase of equipment, expansion of services and enhancement of staff and board capacity. 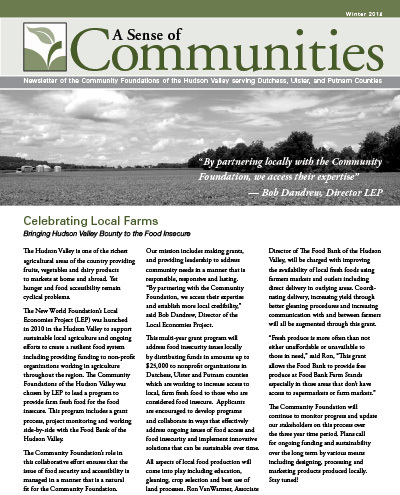 The Community Foundations of the Hudson Valley will celebrate regional philanthropy, Sunday, September 30th at Bontecou Farm in New Paltz. This year’s event will mark the 24th annual Garden Party. For its 33rd year conferring awards to local teachers, the Community Foundations of the Hudson Valley has partnered with Verizon to award a total of $48,000 in grants. These grants will enhance classrooms and curriculum throughout the region, reaching thousands of students. 31 teachers from Dutchess, Putnam and Ulster counties will have funding for professional trainings, cutting-edge equipment and innovative projects. Community Foundations of the Hudson Valley and Upstate Capital Association of New York are partnering to present a keynote and panel discussion on business perpetuation and succession planning, June 13th at Buttermilk Falls in Milton. 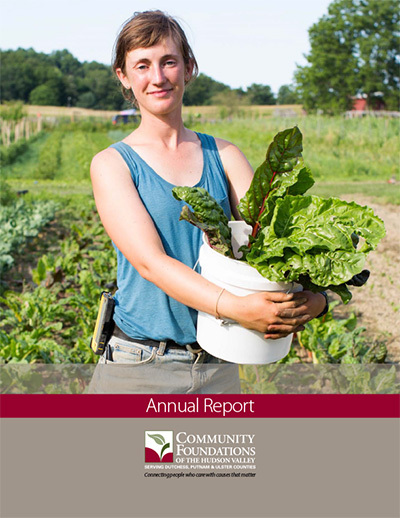 The Community Foundations of the Hudson Valley is pleased to announce that 19 regional nonprofits will receive a total of $813,000 in grants over three years through its Hudson Valley Farm Fresh Food Initiative. Every relationship we have is based on exchange. The dynamic of giving and receiving allows meaningful relationships to continue and deepen over time. Knowing this, and seeing dozens of acknowledgment letters each week, we thought to offer some cues and clues about how your thank you letters can better serve your donor relationships. 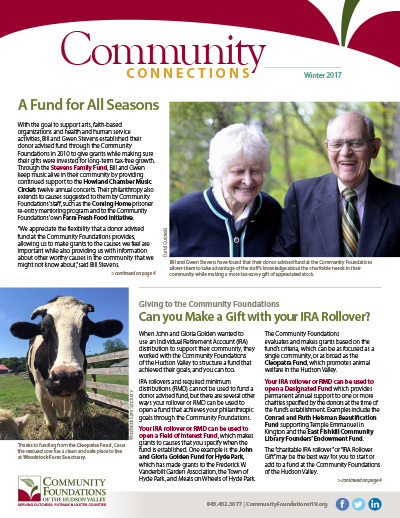 Area residents and community leaders Bernard and Shirley Handel have converted their family foundation into a fund at the Community Foundations of the Hudson Valley. In so doing, the pair will continue their efforts of improving life throughout the region – while strengthening the nonprofit’s work of serving the community. Since passage of the largest tax overhaul in 30 years, we have been fielding emails, calls and queries every day. From individuals and corporations to nonprofits and grantees, all are looking for clarity on how the bill will impact their giving. As your partner and resource in philanthropy, we want to share some insights and ideas on how you can best to adapt your strategy to the many changes the bill contains in two posts. In this post, we’ll discuss strategies for nonprofits to adapt to donor’s changing priorities in light of changes to charitable deductions. Since passage of the largest tax overhaul in 30 years, we have been fielding emails, calls and queries every day from individuals and corporations to nonprofits and grantees. All are looking for clarity on how the bill could impact their giving. As your partner and resource in philanthropy, we want to share some insights and ideas on how you can best to adapt your strategy to the many changes. Scholarship funds held by the Foundations will provide more than $300,000 to students throughout the region, for a wide variety of interests and intended majors. Tis the season: Black Friday, Cyber Monday, and #GivingTuesday are upon us. 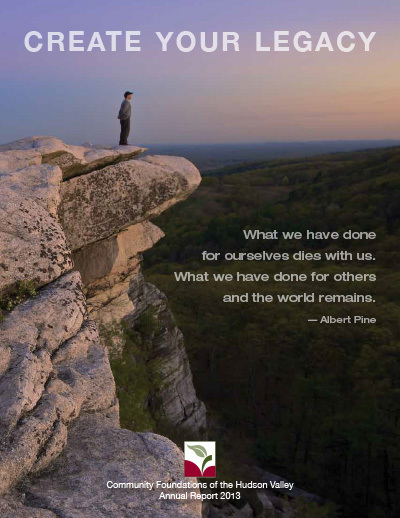 Over the next few weeks, many of us will sit down and make our annual charitable contributions. You are in good company: more than one third of US charitable gifts are made between today and December 31st. 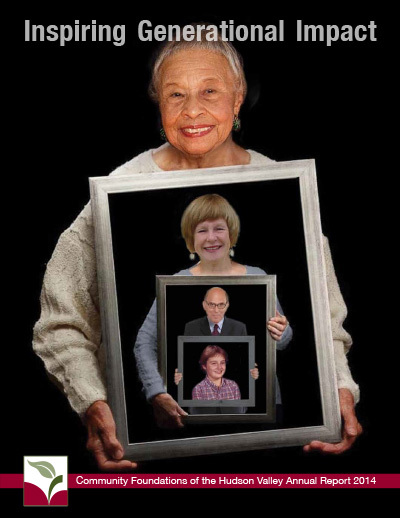 We have too much on our plates already, why does my organization need a planned giving program, too? Most nonprofits understand the value and tactics of appeal writing – but with the increasing visibility and success of #GivingTuesday, many are considering new and innovative methods (online and offline) to build out their end-of-year calendars. 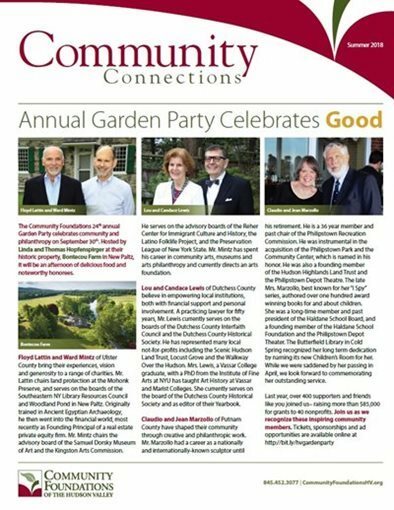 The Community Foundations of the Hudson Valley announced their first-ever Putnam County honorees to be recognized at their Annual Garden Party. 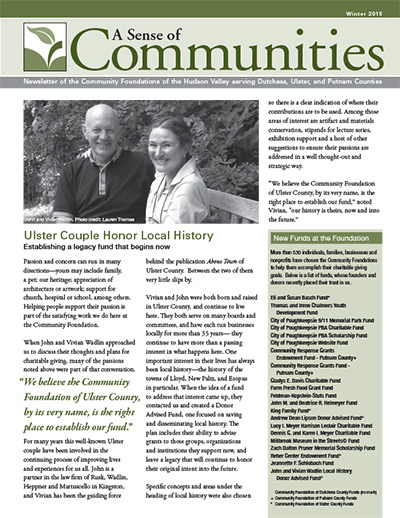 Community leaders Seamus Carroll and Marie Wieck will be celebrated at Obercreek in Wappingers Falls on Sunday, September 24th. The Community Foundations of the Hudson Valley announced Kimberley S. Williams as its new chair, along with several newly elected trustees and officers. The Community Foundations of the Hudson Valley announced 181 awards totaling $311,364 in funds to benefit the most promising students of the Hudson Valley. Through the generosity of individual and corporate donors, Community Foundations of the Hudson Valley has awarded 29 area teachers over $40,000 to enhance classrooms throughout the region. Grants will fund training, purchases of cutting-edge equipment and innovative projects. The Community Foundations of the Hudson Valley will honor Mark V. Dennis, CPA of Poughkeepsie and financial advisor Bruce H. Tuchman of Saugerties at its annual Professional Advisors Breakfast at 8:00 a.m. on Tuesday, May 23, 2016, at the Poughkeepsie Grand Hotel. The event is hosted by the Community Foundations’ Professional Advisors Council, chaired by trustee Ellen L. Baker, Esq. of McCabe & Mack LLP in Poughkeepsie. 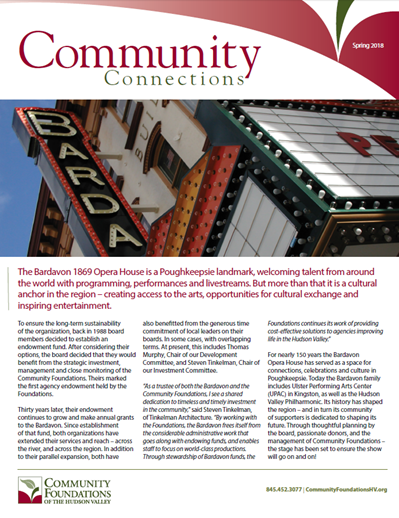 Poughkeepsie, NY – The Community Foundations of the Hudson Valley, through grants from the New World Foundation – Local Economies Project, the Ralph E. Ogden Foundation and other private donors, is pleased to announce that 20 regional nonprofits will receive a total of $270,000 in grants through its Hudson Valley Farm Fresh Food initiative. The grant program invests in nonprofit organizations increasing access to local, farm fresh food for individuals who are considered food insecure. 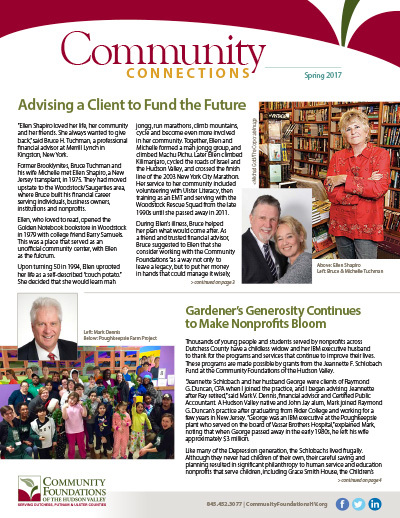 A core service of Community Foundations is providing donors with reliable and effective tools for their philanthropy – including management and investment of Donor-Advised Funds. We may be biased, but we’re here to make the case: community foundations are cool. Community foundations work at the philanthropic intersection of individuals, nonprofits, corporations and local governments. How does that happen? 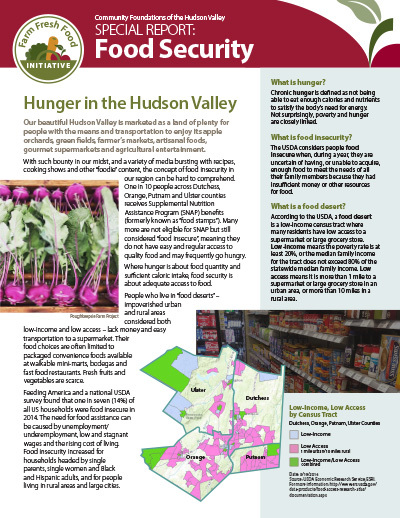 The Community Foundations of the Hudson Valley has been awarded a grant of $50,000 from the New York State Department of Agriculture and Markets to underwrite its continued work supporting nonprofit organizations addressing the complex issue of food insecurity in the Hudson Valley. 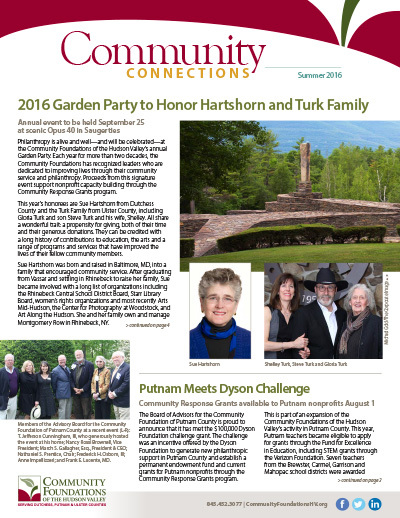 On Sunday, September 25, 2016, some of the Hudson Valley’s most generous philanthropists, business and community leaders came together at Opus 40 to honor Sue Hartshorn of Dutchess County and Gloria Turk, son Steve Turk and his wife Shelley Turk of Ulster County. The Community Foundations of the Hudson Valley today announced four newly elected trustees for 2016-2017 and one newly appointed officer. 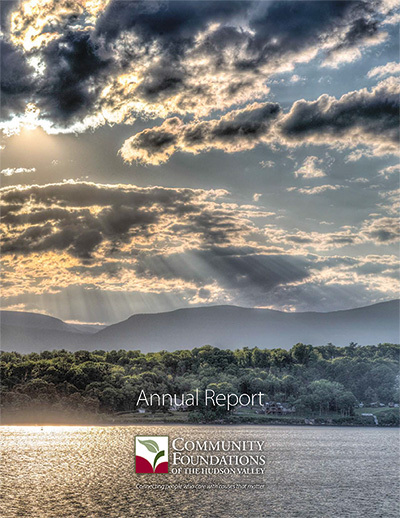 Leading citizens from across the Hudson Valley serve on the Board of Trustees of the Community Foundations of the Hudson Valley (CFHV). The Community Foundations of the Hudson Valley today announced 191 scholarships and awards totaling more than $300,000 to benefit the Hudson Valley region’s most promising students. Thirty-five resourceful teachers from across the Hudson Valley now have more than $45,000 in new grant funds to purchase scientific equipment and implement innovative projects in their classrooms next year, thanks to the generosity of donors to the Community Foundations of the Hudson Valley. 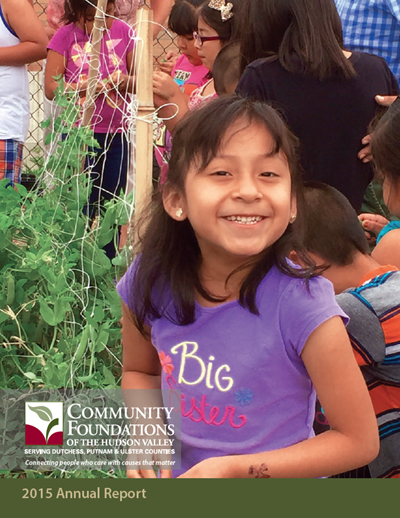 The Community Foundations of the Hudson Valley has opened the online application process for a spring round of more than $385,000 in education grants and scholarships in Dutchess, Putnam and Ulster counties and beyond. The Community Foundations of the Hudson Valley announced more than $100,000 in grant awards to 22 Dutchess County nonprofits at a reception for grantees held on Thursday, December 10, 2015, at the Anderson Center for Autism in Staatsburg. The Community Foundations of the Hudson Valley announced $26,000 in grant awards to 14 Ulster County nonprofits at a reception for grantees held on Friday, December 11, 2015 at Deyo Hall at Historic Huguenot Street in New Paltz. The Community Foundations of the Hudson Valley (CFHV) today announced that it has promoted Cristin McPeake to Director of Programs and Aliza Krevolin to Program and Finance Associate. Nathaniel Prentice, Nancy Rossi Brownell and a newly formed advisory board are on a mission to raise at least $100,000 this year for the Community Foundation of Putnam County, thanks to a matching challenge grant of $100,000 from the Dyson Foundation. On Sunday, September 27, 2015, some 500 of the Hudson Valley’s most generous philanthropists, business and community leaders came together at historic Montgomery Place to honor Darlene L. Pfeiffer of Ulster County and Richard C. Strain and daughter Karen Strain Smythe of Dutchess County.These beloved community leaders were recognized for their extraordinary commitments to philanthropy and community service in the region. The Board of Trustees of the Community Foundations of the Hudson Valley today announced the appointment of March Gallagher as its new President and Chief Executive Officer, effective September 28, 2015. 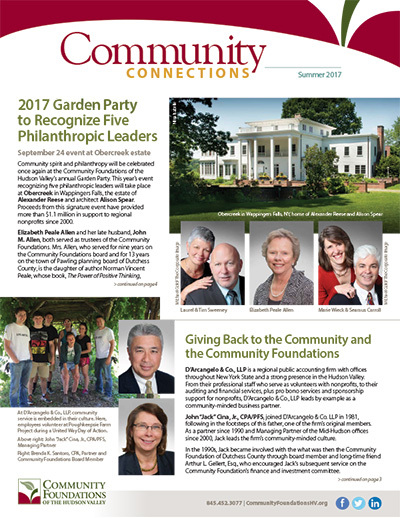 Community members with long and impressive commitments to philanthropy and community service will be honored on Sunday, September 27, 2015, from 3-6 pm at the Community Foundations of the Hudson Valley’s annual Garden Party. 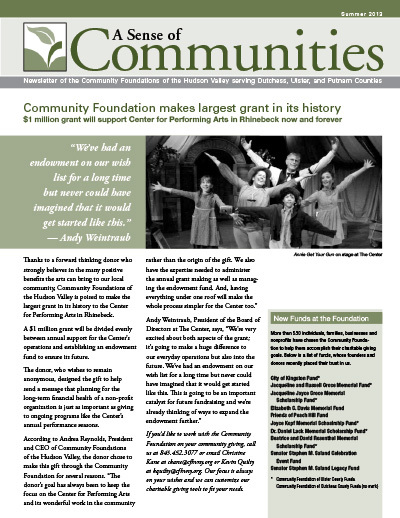 The Community Foundations of the Hudson Valley announced today the opening of its Fall 2015 grant cycle. It is now accepting online applications from public school teachers for field trip grants, and will begin accepting online applications from nonprofit organizations for the Fall 2015 Community Response and competitive grants on August 1, 2015. The Community Foundations of the Hudson Valley proudly welcomes two talented employees to its staff. The Community Foundations of the Hudson Valley today announced more than 180 scholarship and awards totaling $275,000 to benefit the Hudson Valley region’s most promising students. 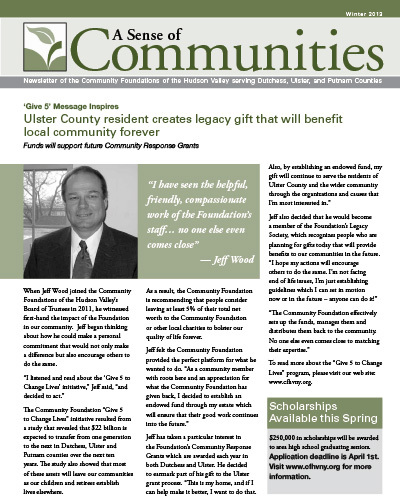 Thank you for being part of the Community Foundations’ success. It has been my distinct fortune for almost 10 years to carry out the mission of the Foundations. 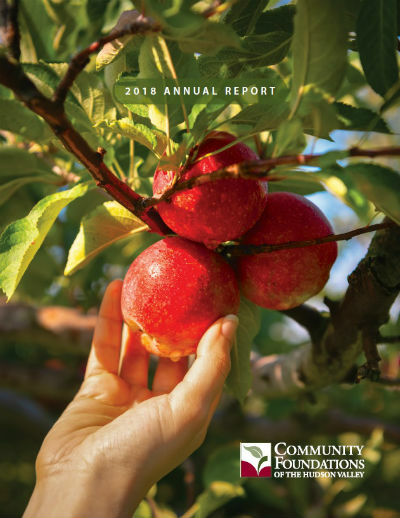 Community Foundations of the Hudson Valley has awarded $211,000 in grants to 13 local nonprofit agencies that offer fresh, local produce to hundreds of families in Dutchess, Ulster and Putnam counties. The Community Foundations of the Hudson Valley awarded more than 100 grants totaling nearly $200,000 to the work of local nonprofits in our communities. Sally Cross has joined the staff of the Community Foundations of the Hudson Valley as its new Director of Planned Giving. 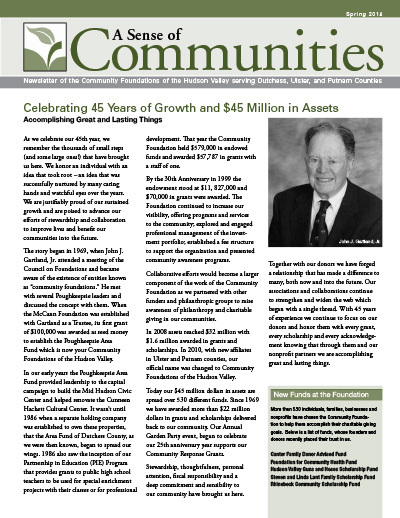 The Community Foundations of the Hudson Valley and its affiliates, the Community Foundation of Dutchess County, the Community Foundation of Ulster County, and the Community Foundation of Putnam County, are pleased to celebrate our 45th year and announce reaching a matching asset level of $45 million dollars, more than doubling our asset level within this decade. 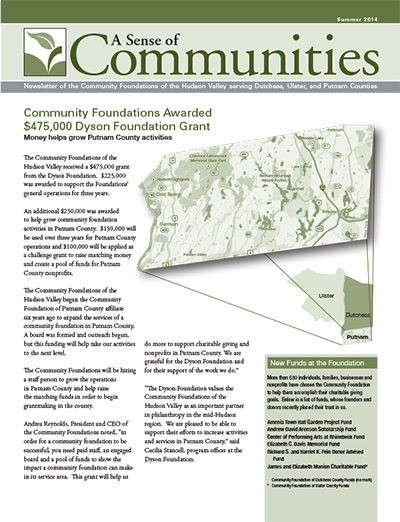 The Community Foundations of the Hudson Valley received a $475,000 grant from the Dyson Foundation. $225,000 was awarded to support the Foundations’ general operations for three years. Community Foundations of the Hudson Valley honored two area couples who personify community service on Sunday, October 6, when the regional philanthropic organization held its 2013 Garden Party. Over 400 people turned out to honor J. Joseph and Mary McGowan and Glenn B. Sutherland and Cynthia A. 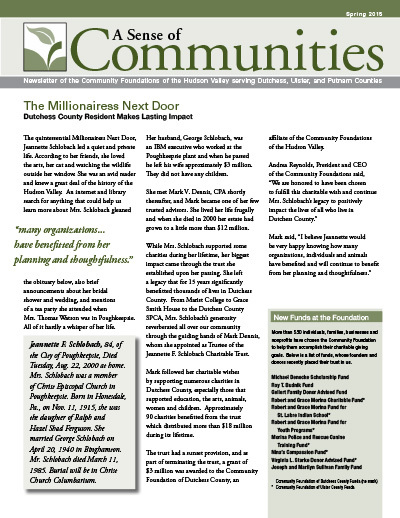 The Community Foundations of the Hudson Valley and its affiliate the Community Foundation of Dutchess County, have formally announced that they have received a bequest of $2.9 million from the estate of Leslie C. Roe. 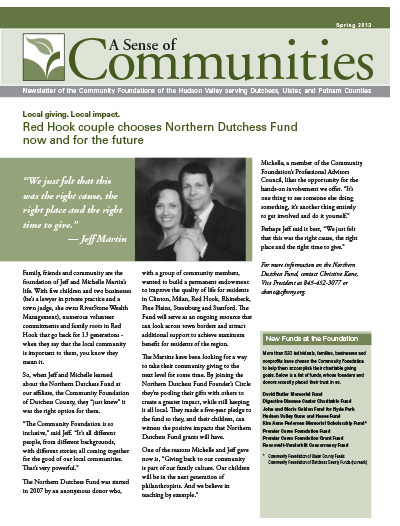 The Community Foundations of the Hudson Valley is pleased to announce their newly elected officers and board of trustees for the 2013-2014 fiscal year. 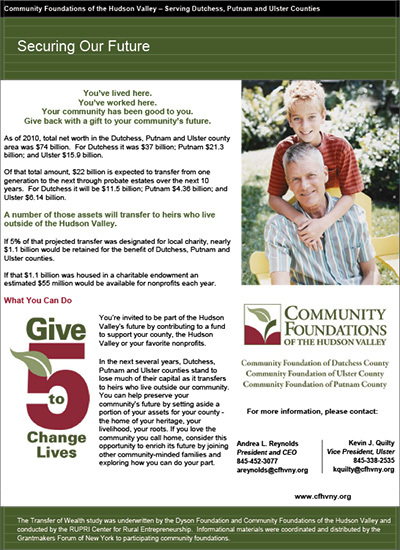 The Community Foundations of the Hudson Valley released an eye-opening study during a grants award reception at Catherine Street Community Center on Tuesday detailing how nearly $22 billion in personal wealth will likely change hands in Dutchess, Ulster and Putnam counties over the next decade. 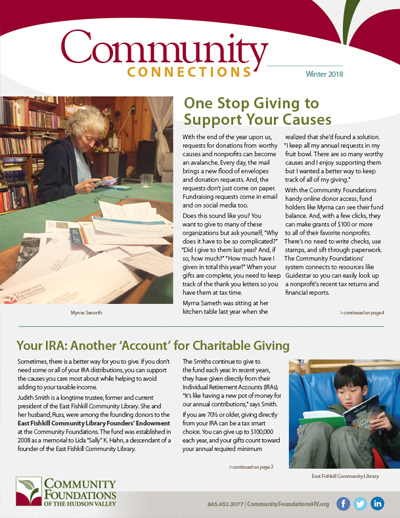 The Foundation maintains downloadable copies of annual reports, newsletters, and other publications that can help you in your giving and your work. Below you will find downloadable copies of our current and archived publications. 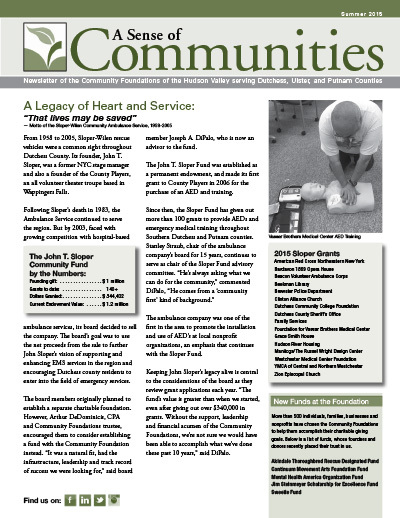 Please click on the publication to download a copy. If you would like to receive a hard copy of any of the listed publications please contact the Foundation and we will send one to you. 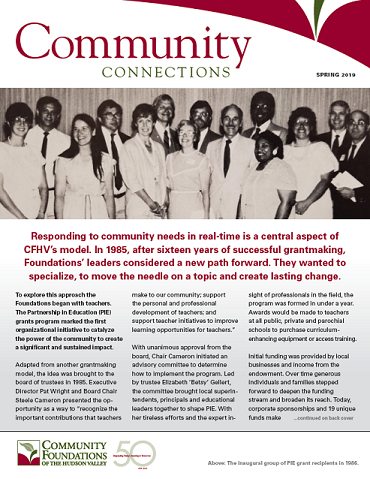 Community Foundations staff are experts on a range of topics and would be happy to speak to your service club, organization, business, or community group about the many services we provide the community. We would love to help you better understand the compelling stories of charitable giving and what it can do to enhance the lives of others. Local news coverage, websites, Facebook, Twitter and other social media provide many ways to publicize your grant award. 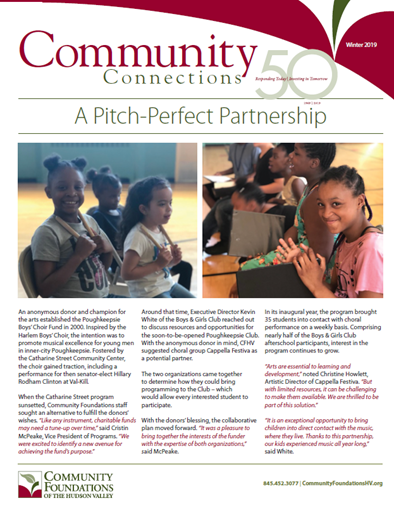 Sharing the good news of your Community Foundations grant puts the spotlight on your important work and also can spark the interest of other funders and more investments in community projects. Think visually: Attach high-resolution photos to your press releases. Avoid group photos or groundbreaking shovel shots. Photos of your work in action are the best way to grab attention. Seize the opportunity for publicity if your event or program is particularly visual – would it be interesting for TV or an online newspaper video? Determine your audience: Make a list of reporters or editors at local newspapers and assignment editors at radio and TV stations who should receive your release. Know media deadlines: Weekly newspapers may require your release a week or more in advance of an event. Keep your release short: Limit your press release to 250 words or fewer, with double spacing, a contact name, phone number, and email address. Think like an editor: Provide a substantive quote from someone involved in the project. Details matter. Answer the “who, what, when, where, and why” questions. Identify someone to be interviewed if a reporter calls. Make it easy for the editor: Your email subject line should be the headline of your press release. Attach a Word file of the press release to the email version.